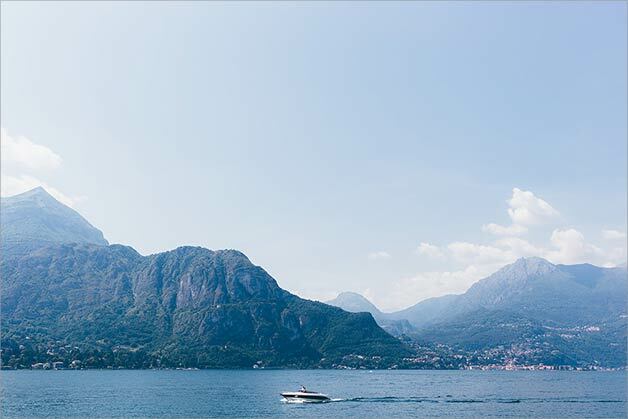 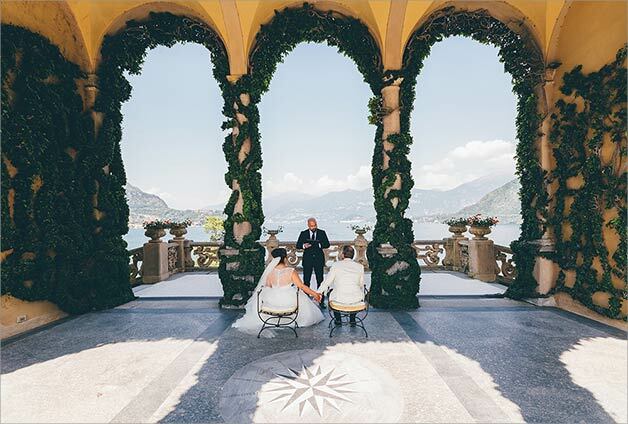 Lake Como is the perfect location for a romantic Elope in Italy. 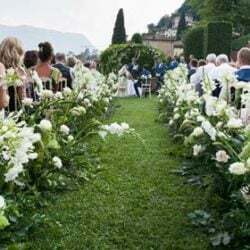 If you are tempted by the idea of exchanging your vows in an intimate and romantic Italian destination Lake Como is the perfect spot. 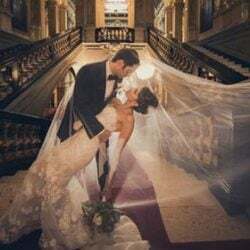 If you are not sure whether elope or not, the following post should help you. 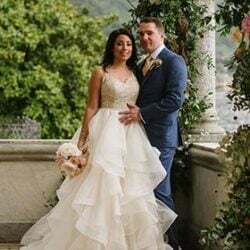 Tara and William came from USA to get married on Lake Como on April 2017, what perfect wedding destination for an unforgettable wedding day in Italy! 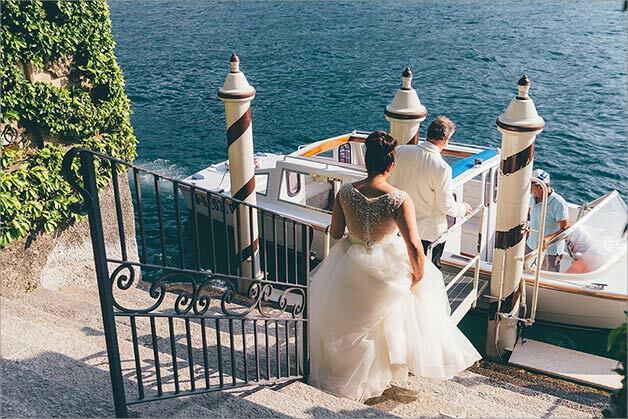 You can take some inspiration looking at the wonderful wedding photos by DS VISUALS. 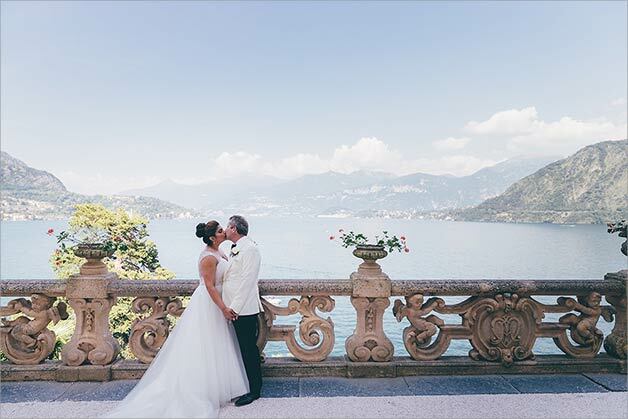 Tara and William decided for a very personal and intimate wedding: just the two of them on Lake Como. 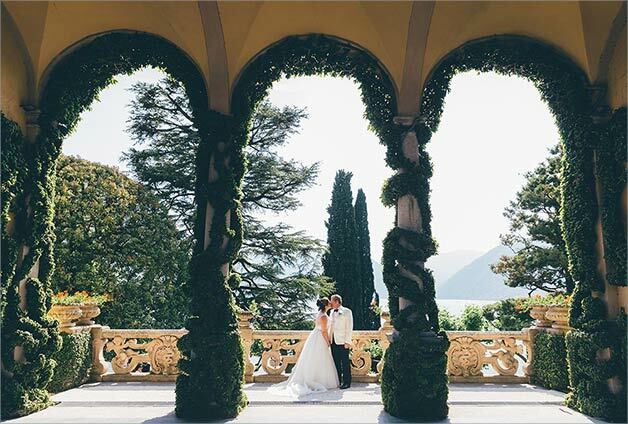 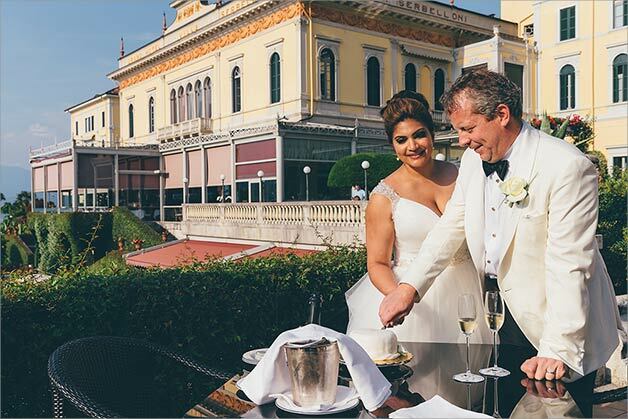 They spent their Italian days in Grand Hotel Villa Serbelloni, a luxury hotel in Bellagio. 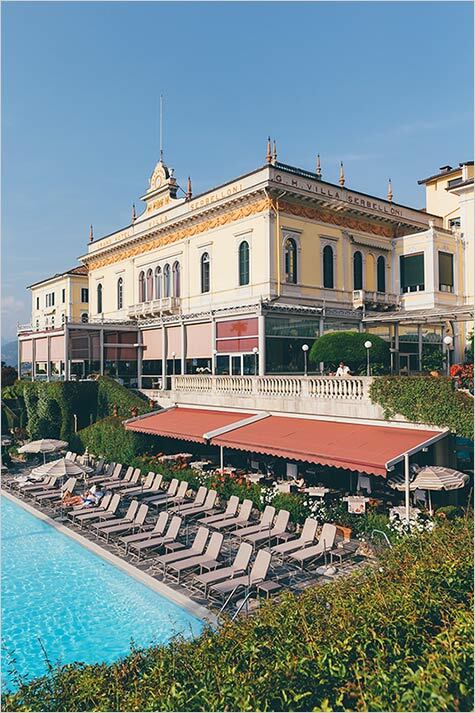 Hotel Villa Serbelloni is located in wonderful surroundings of Lake Como. 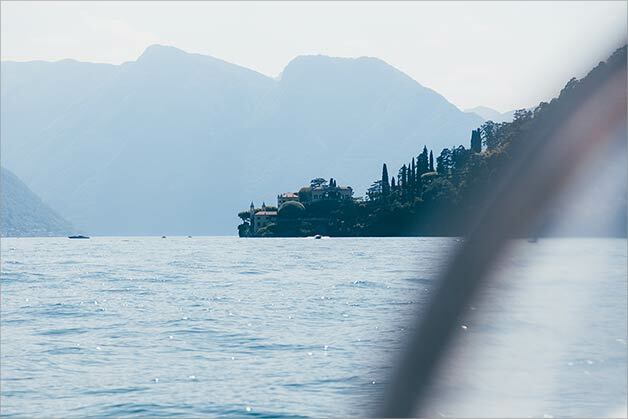 This amazing hotel his located on a promontory where blue waters of Lake Como meet green mountains above the lake. 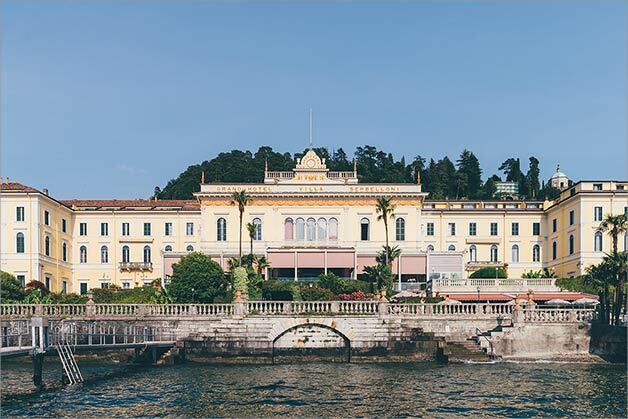 A fantastic 19th century villa by the lake in pure neo-classical style. 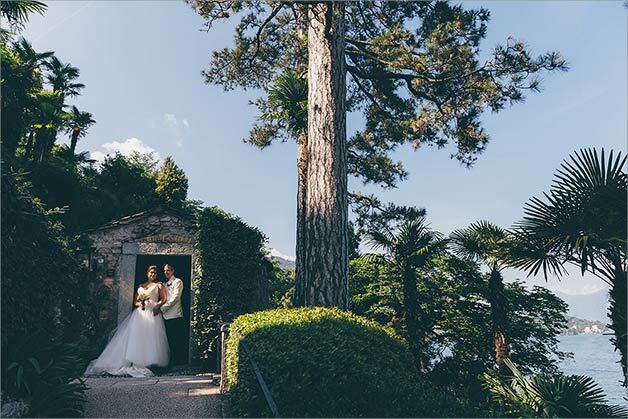 It is surrounded by a traditional Italian garden and secular trees. 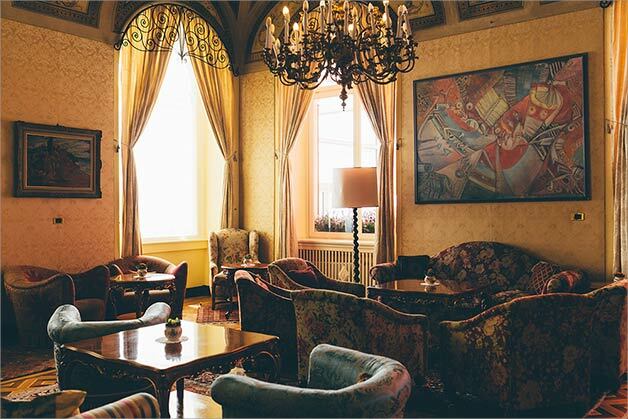 Indoor spaces reflect ancient wealthy nobility’s good taste he perfect venue to enjoy your Italian days on Lake Como! 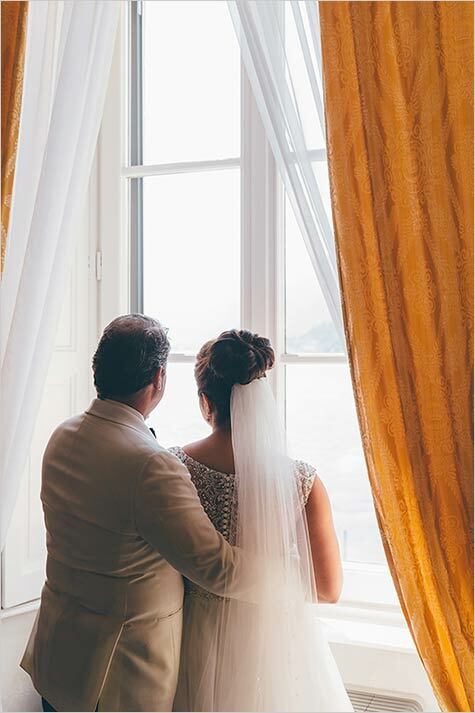 Beautiful room where Tara and William stayed was the perfect place to get ready: a fantastic view over the lake and elegant atmosphere. 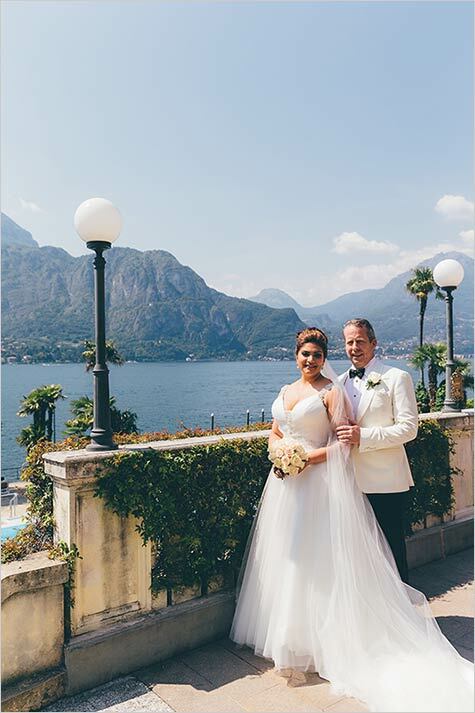 One of the most famous make up artist and hairdresser on Lake Como followed Bride’s hairdo and make up. 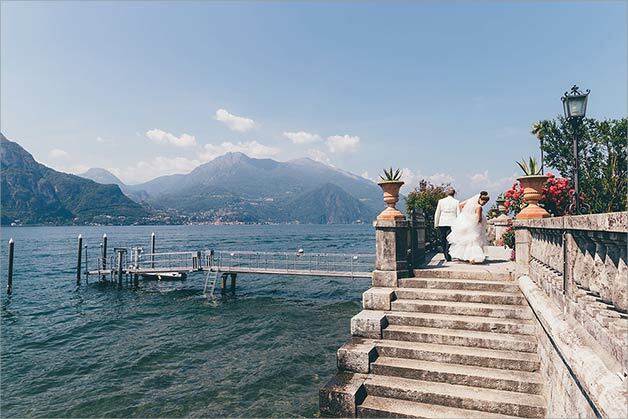 In the meanwhile groom relaxed a little before leaving to Villa del Balbianello for the intimate wedding ceremony. 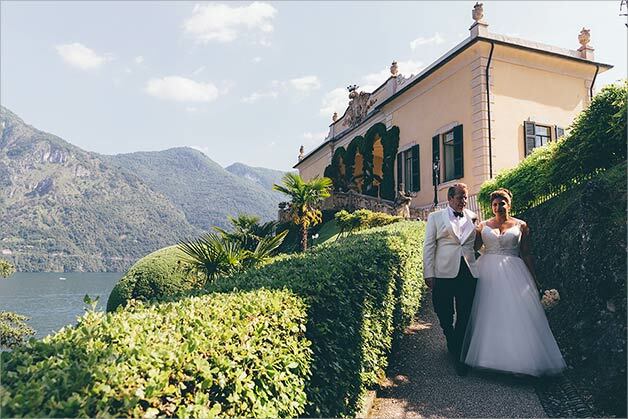 Bride and groom spend some time in the gardens of Villa del Balbiabello enjoying a sunny beautiful day and taking some wedding pictures. 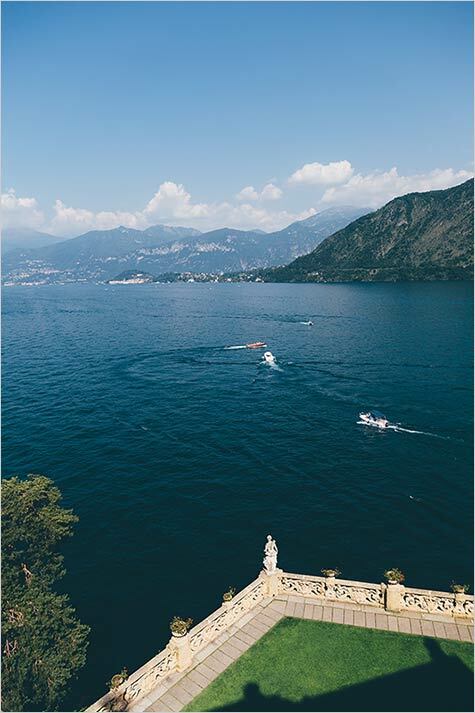 They reached their boat to the private dock of the hotel. 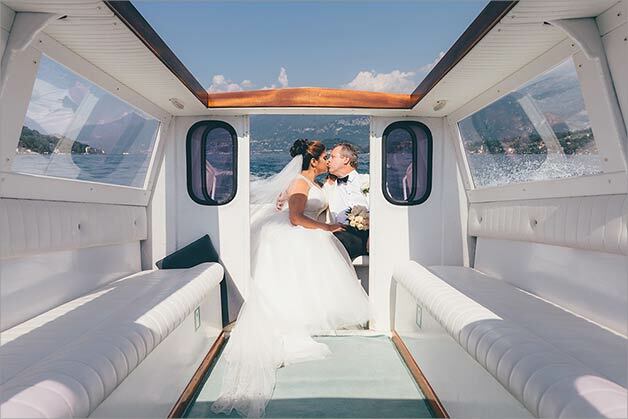 After a romantic tour on Lake Como, bridal boat finally reached Villa del Balbianello. 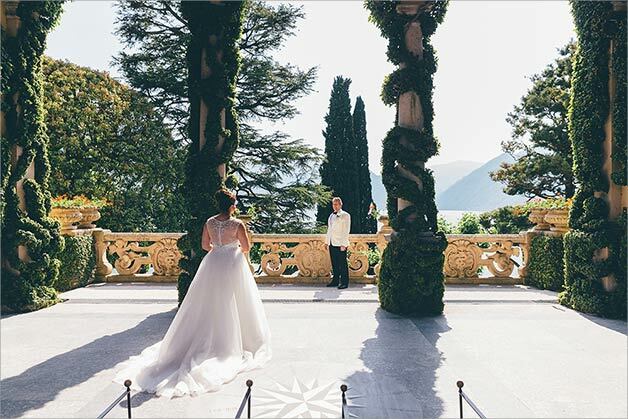 Here our lovely couple became husband and wife under the amazing Loggia Durini. 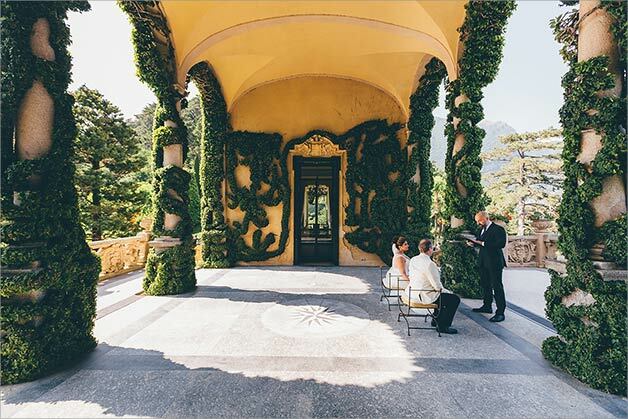 Newlyweds spent some time after ceremony in Villa del Balbianello wonderful gardens. 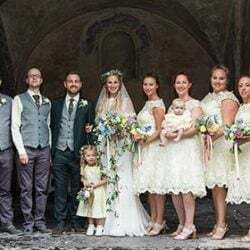 Wedding photographer took some beautiful wedding photos in a unique and fairy tale atmosphere. 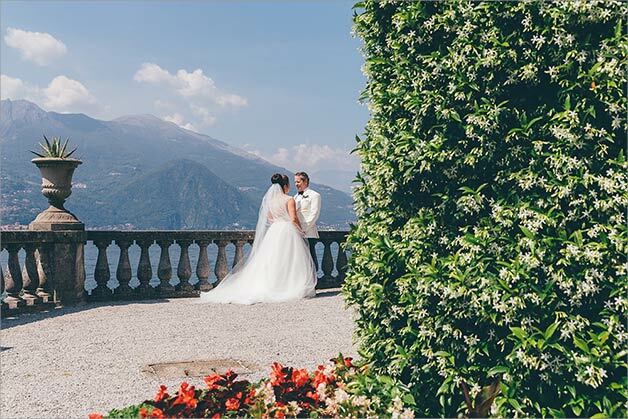 It was time to get back to the hotel, where they cut their pretty wedding cake enjoying a fantastic view over Lake Como. 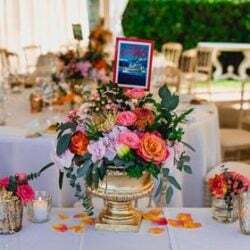 Tara and William ended their special day with an intimate and romantic celebratory dinner. 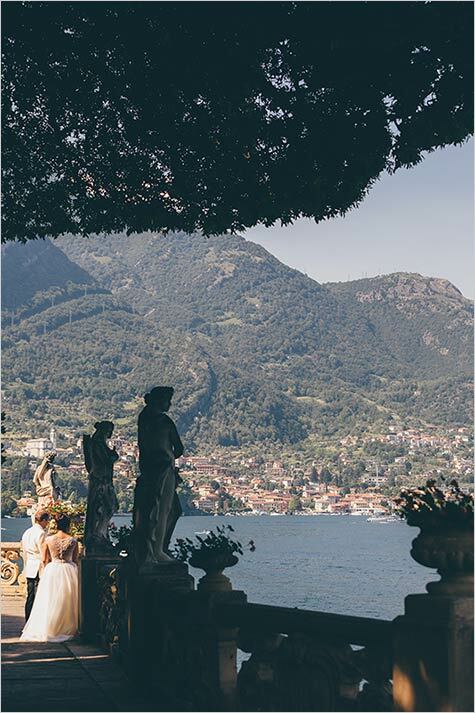 We are so proud Tara and William choose us as their wedding planner for their elope on Lake Como. 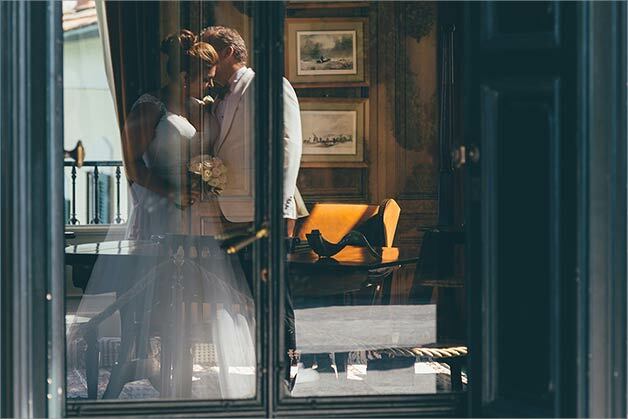 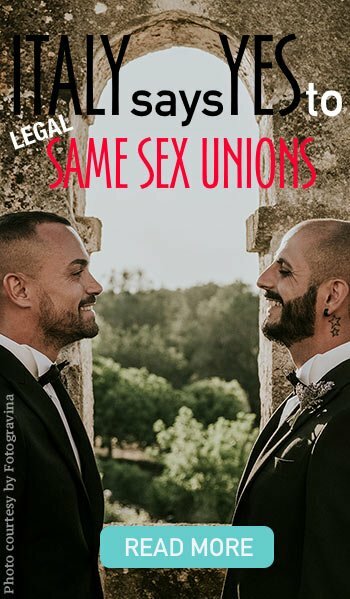 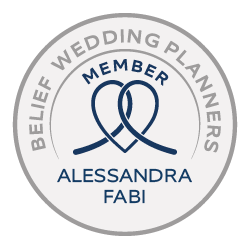 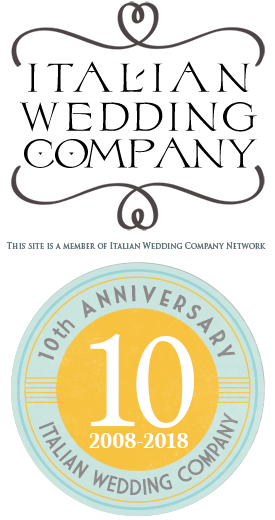 We are so happy we helped them to realise their dream: an intimate and romantic wedding in Italy.